Air temperature in the iRON is measured by an air temperature/relative humidify sensor within a radiation shield. For most stations, the sensor is located roughly 1.5-2m above the ground. Air temperature impacts ecosystems in many different ways. It determines whether precipitation falls as snow or rain; it drives evaporation of water from the soil and evapotranspiration (loss of water) from plants; and it plays a role animals survival. 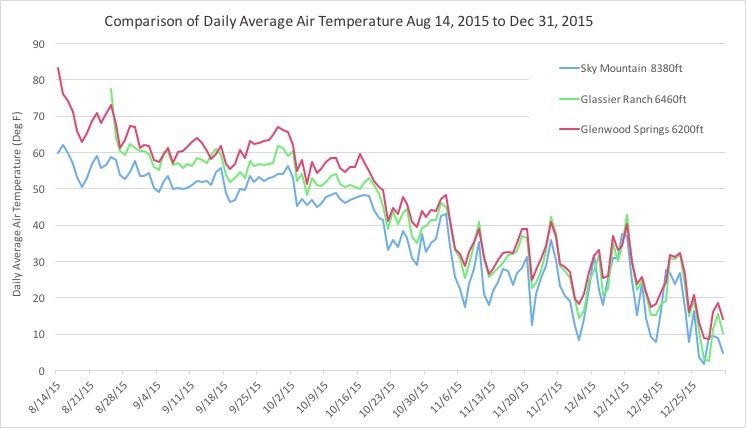 Air temperature in turn is also influenced by multiple factors. Average temperature ranges are determined by a mixture of latitude, altitude, aspect (the direction a slope faces), and land cover type. 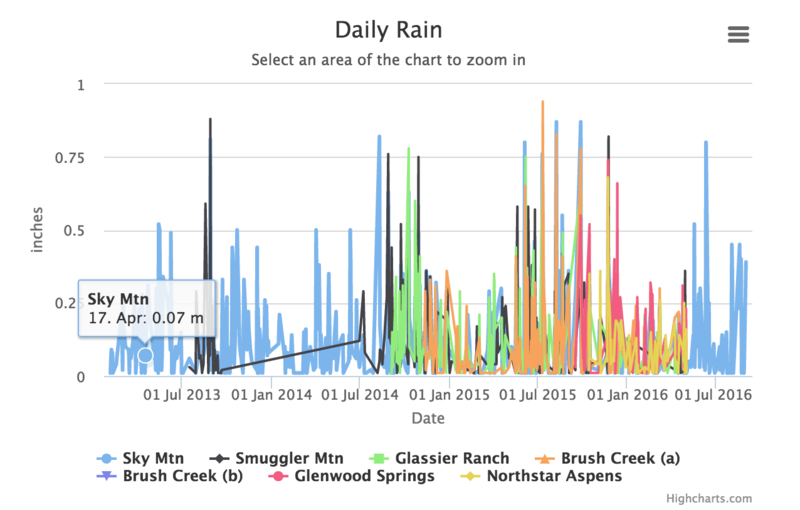 Because iRON spans much of the Roaring Fork Watershed’s large range of elevation, it is possible to compare how daily temperatures compare across a gradient of different altitudes within a narrow latitude range. 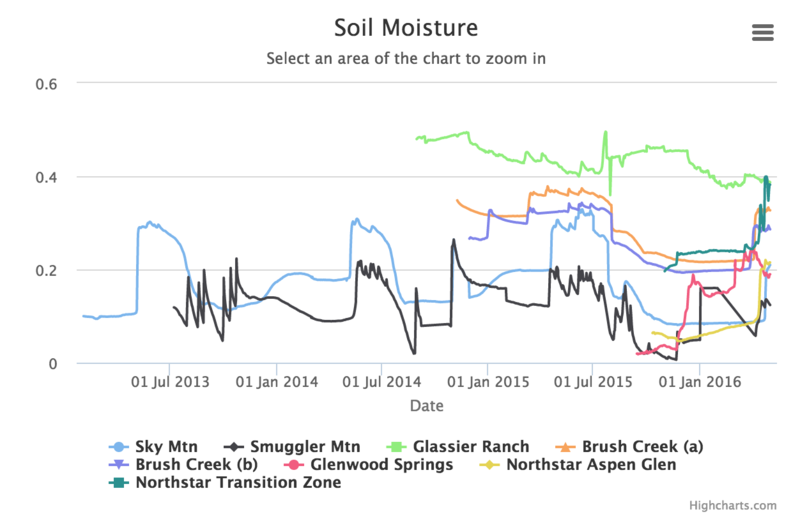 The graph below shows data from August through December of 2015 at sites at up valley Sky Mountain 8,380ft (2,550m), mid valley Glassier Ranch 6,460ft (1,970m), and down valley Glenwood Springs 6,200 ft (1,890m) locations. 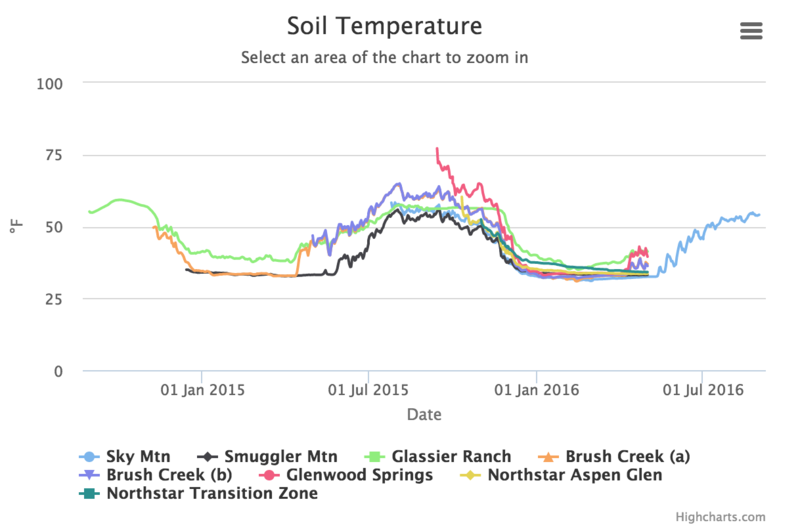 There are some days that are exceptional, but on most days shown, the higher elevation site has cooler daily average temperatures than the lower elevation sites.